Gulf Hagas, designated a National Natural Landmark in 1968, is a slate canyon along the West Branch of the Pleasant River that’s often called the “Grand Canyon of Maine” for its 150-foot cliff walls, a max gorge depth of almost 400 feet, and a succession of postcard-worthy waterfalls—the river drops approximately 500 feet throughout this three-mile stretch. Billings Falls within Gulf Hagas. 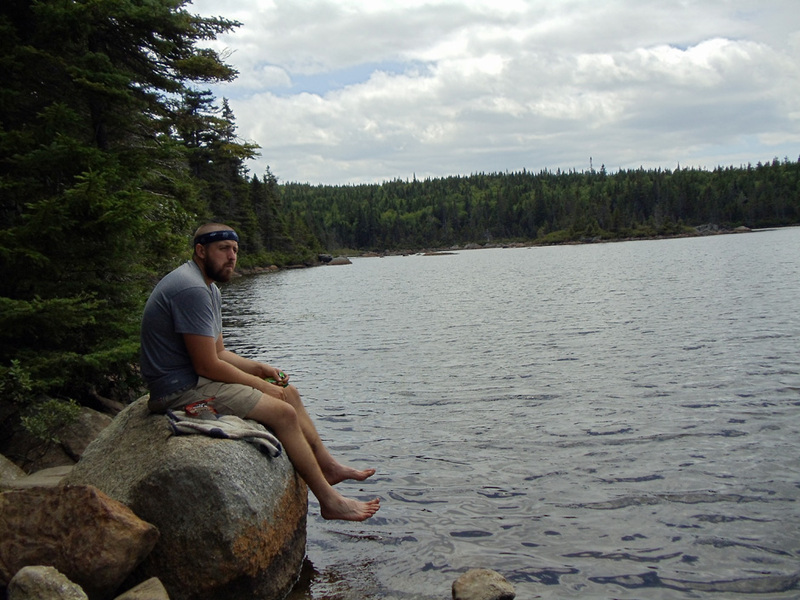 Bottom line, if you love hiking in Maine, Gulf Hagas is an absolute must-see. In map miles, a Gulf Hagas loop hike along the Rim Trail and the Pleasant River Tote Road from the Katahdin Iron Works/Appalachian Trail side measures 8.2 miles, and coming in via the Head of the Gulf Trail on the other end will run you 8.4 miles round trip; however, add up all of the spur trails to the scenic viewpoints and river pools, and you’ll likely cover 10-11 miles. 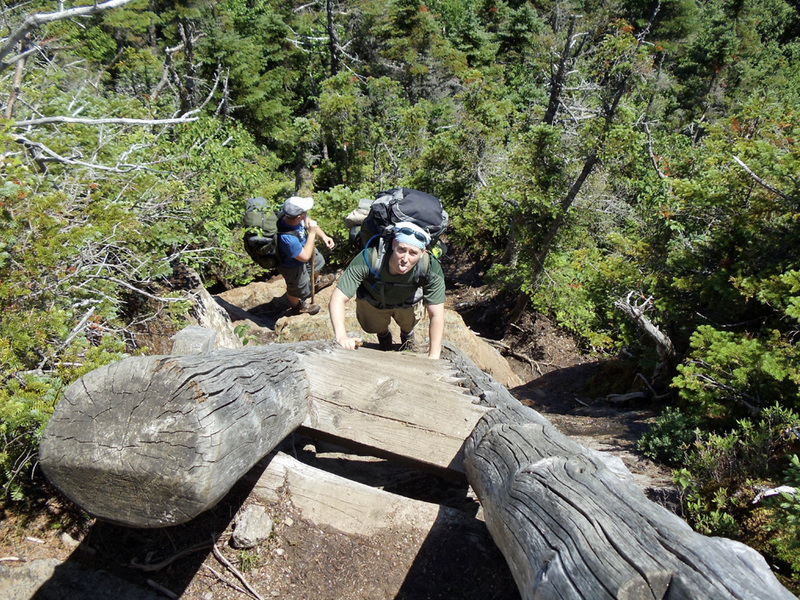 In terms of difficulty, the loop isn’t overly challenging for fit and experienced hikers at any individual location. Where Gulf Hagas gets you is in the cumulative wear and tear. The Rim Trail features numerous ups and downs that add up to almost a 1,000 feet in total elevation gain with plenty of rocks and roots, all of which create a more strenuous hike than you might expect. Assuming you stop for lots of pictures and possibly even a swim, the Gulf Hagas loop will take five to seven hours to complete. 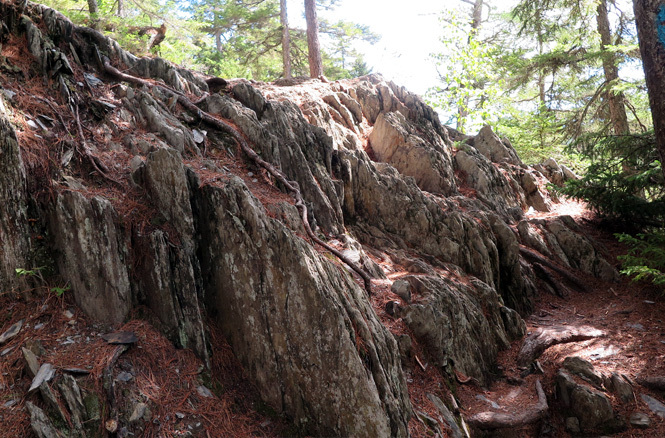 This rock scramble represents the most challenging section of the Gulf Hagas Rim Trail. By itself, this part isn’t difficult, but the cumulative effect of all these little ups and downs can get exhausting. Leashed dogs are allowed. That said—if you have a bigger dog that pulls on the leash, you’re probably better off doing this hike without your canine friend. “Probably the most spectacular, and deadly, place I’ve ever had to do rescues is Gulf Hagas,” wrote Roger Guay, a member of the Maine Warden Service for 24 years, in A Good Man with a Dog. 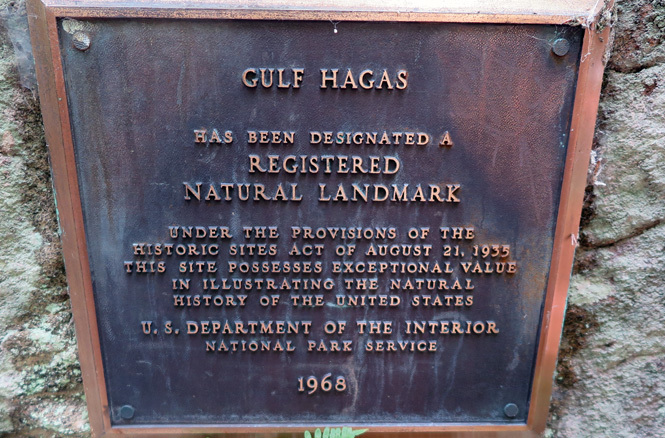 Gulf Hagas has been preserved in its natural state, which is both wonderful and treacherous. You can walk to the edge of those 150-foot cliffs, and if you slip, there’s nothing but boulders and surging water to catch you. You’ll also encounter numerous herd paths that descend steep rock embankments to get riverside. These slopes and ledges are tricky to traverse in good conditions. 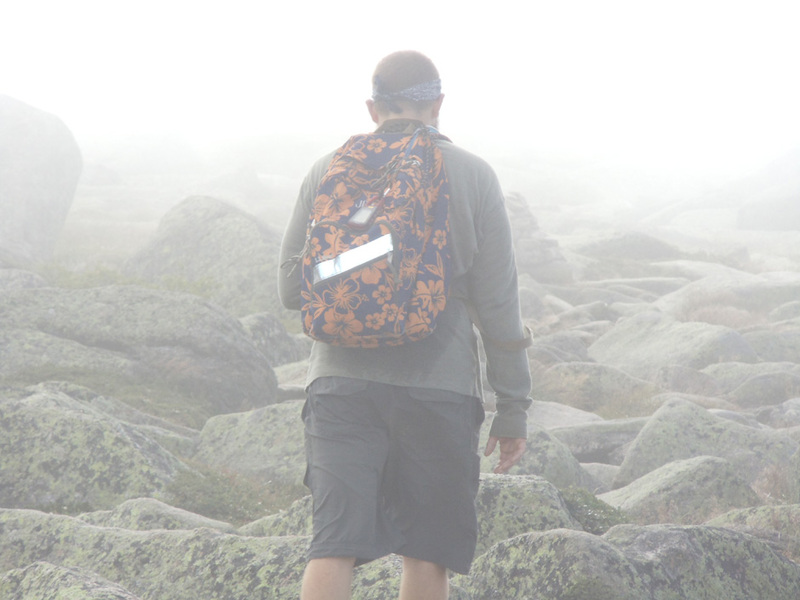 Add rain or ice, and its a dangerous recipe for even the most experienced hikers. Not a place where you want to slip. The point of this section isn’t to scare you away from Gulf Hagas. On the contrary, the area is spectacular and an awesome hike when visitors understand and respect the inherent dangers of rock cliffs and raging water. While Guay offers a fair warning about children, Gulf Hagas can be a fun place to bring kids when the outing is well-planned and the conditions are controlled. First off, make sure to have an advantageous adult-to-child ratio. With younger kids, enter via the Head of the Gulf Trail to avoid the river fords and study a map to plan a turnaround point that won’t overtax young legs. 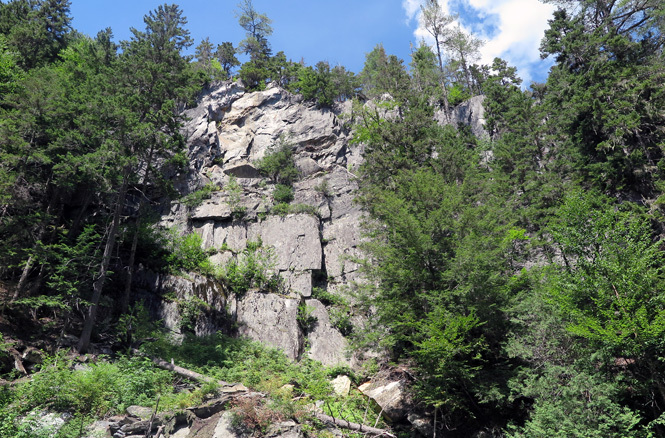 For example, turn back at Billings Falls, or take the Pleasant River Tote Road around to Buttermilk Falls via the Cut Off Trail, and you’ll avoid the roughest parts of the Rim Trail and the most treacherous cliffs. There’s a sandy, calm spot on the river at the Head of the Gulf that’s a good swimming option for younger kids (just beware the pools below here where the current is stronger). 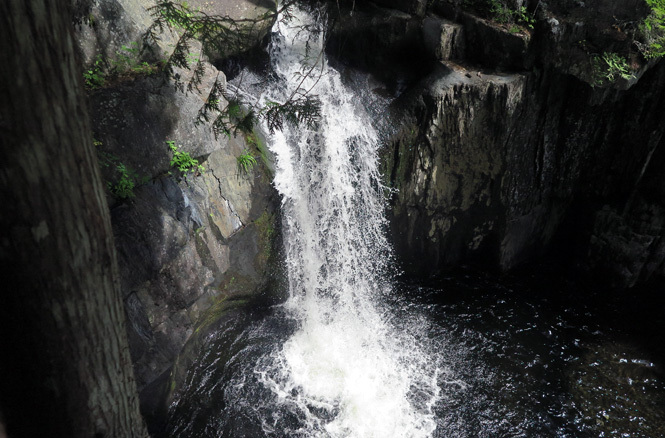 In normal summer conditions, the pool below Buttermilk Falls is a good swimming hole for older kids who are strong swimmers. For many, getting to Gulf Hagas is half the adventure. As mentioned above, there are two entry points, both of which require passing through a checkpoint and paying a fee. At the time I’m writing this, the day use fee is $9 for Maine residents and $14 for flatlanders…er, out-of-staters; however, plan for more in the likelihood that the fee goes up. Also, only cash and checks are accepted. Directions to the West Branch Pleasant River parking lot (Katahdin Iron Works/Appalachian Trail) side. Short version: Drive to Brownville Junction and then follow Route 11 north for 5.5 miles. 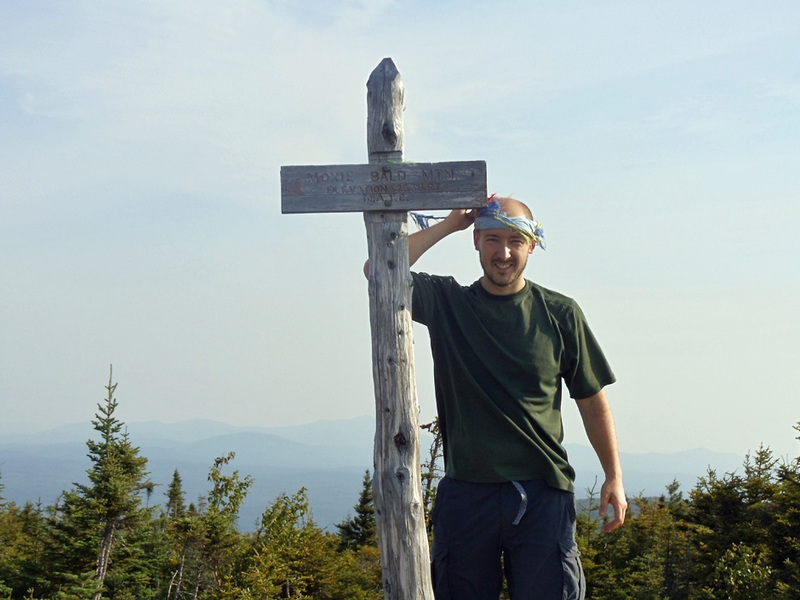 Turn left onto the Katahdin Ironworks Road (KI Road on many maps) and drive 6.8 miles to the checkpoint. Cross the river and turn right; 3.4 miles later, stay left at a fork and drive another 3.3 miles. The lot will be on your right; it fills up early on weekends. 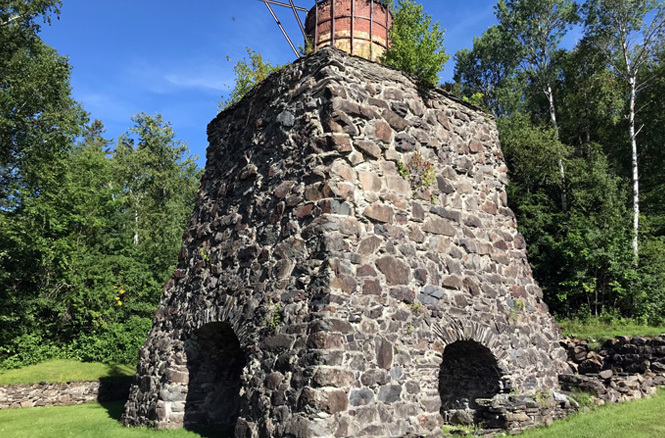 The remnants of the Katahdin Iron Works furnace is available for visitors to see at the KI checkpoint. 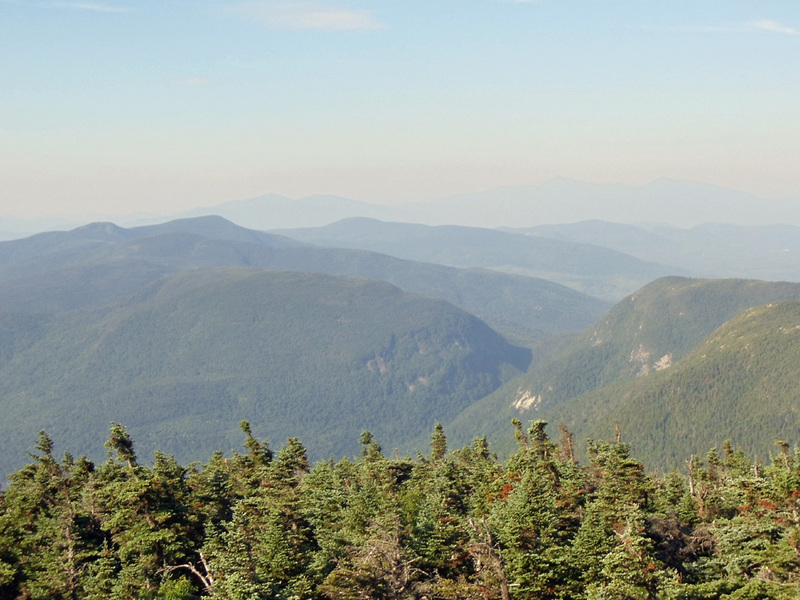 Directions to the Hay Brook Parking Area (Head of the Gulf Trail side): Drive to Greenville. At the split of Maine Routes 6 and 15 in the center of Greenville, head north on Lily Bay Road for a block and then turn right onto Pleasant Street. Pleasant soon becomes E Road, which goes around the south side of the airport. E Road turns into a dirt road and becomes the KI Road. After driving 11 miles from Greenville, you’ll reach the Hedgehog checkpoint; from here, continue to the next intersection and turn left onto Upper Valley Road. After a short drive, the trailhead will be on your right. First off, there is no camping within Gulf Hagas or The Hermitage. Please respect this. A lot of people assume that the restriction on camping is for fire prevention, but the main reason is to protect the fragile undergrowth that will get damaged when people trudge around off trail looking for a place to tent or to gather firewood. This said, there are plenty of nearby camping options. There are numerous drive-up campsites along the KI Road; call the KI checkpoint at 207-965-8135 for fees and availability. 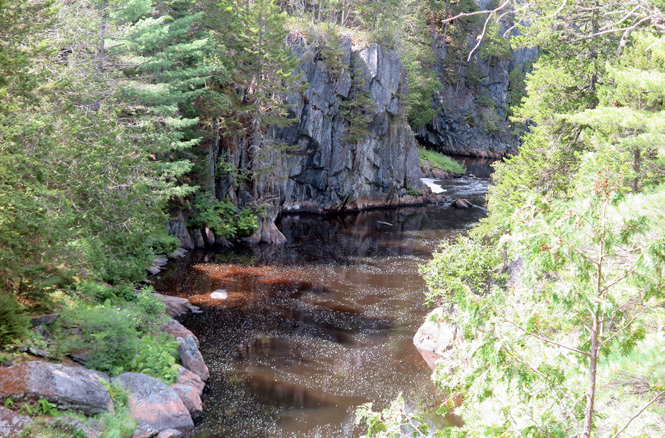 The better choice for backpackers are the four campsites available along the West Branch Pleasant River. It’s only a half-mile hike to these campsites from the West Branch trailhead parking lot for Gulf Hagas; however, since you have to cross the river with your gear, most day hikers avoid these sites. 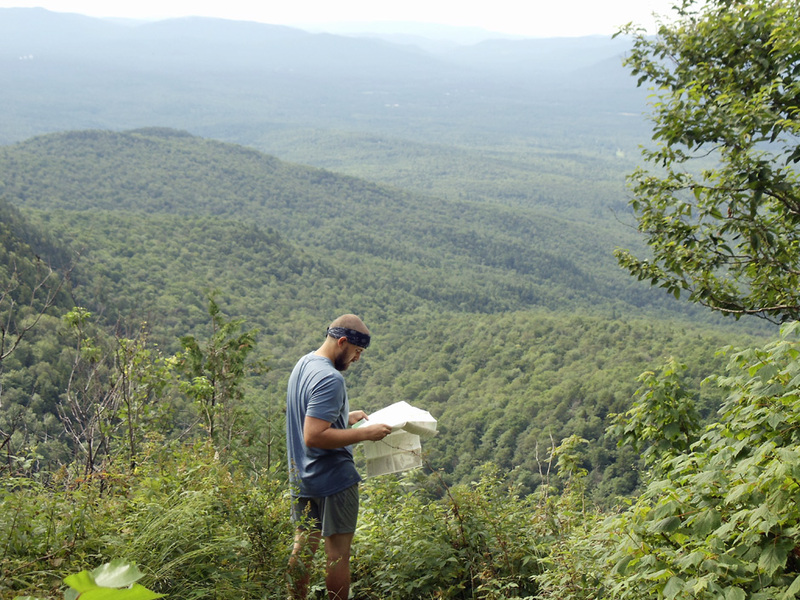 AT thru-hikers also skip these sites because they have a fee and there’s a free lean-to 5.5 miles up the trail. As a result, these sites are typically available on weekends without a reservation (still a good idea to call the KI checkpoint in advance). 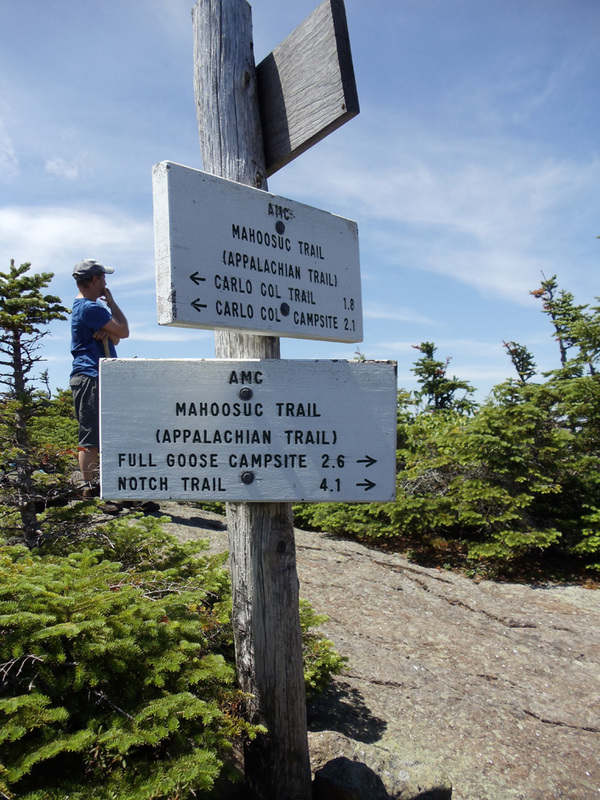 If you can’t survive without flushable toilets, the Appalachian Mountain Club offers hiker chic accommodations at the Gorman Chairback Lodge and Cabins and Little Lyford Lodge and Cabins. From the West Branch parking lot, a short spur trail connects onto the Appalachian Trail at the river crossing. There’s no hope of rock hopping to keep your feet dry here, so it’s not a bad idea to wear Crocs or another type of water shoe to cross the river. 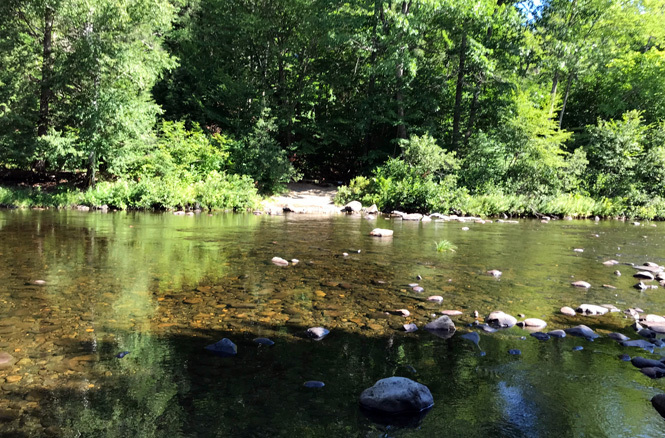 The West Branch of the Pleasant River is an easy ford during typical summer water levels (as shown here), but you’ll want to exercise caution in the spring. After crossing the river, the Appalachian Trail meanders around a bend and comes to an intersection on the old Pleasant River Tote Road, marked as Map Point 1 on the Gulf Hagas Map. For anyone camping at the Pleasant River Campsites, it’s a good idea to dump your overnight gear before going into Gulf Hagas, so turn right here and follow the Tote Road past a small pond to the sites. Day hikers can turn left and enter The Hermitage, an impressive stand of white pine owned by the National Park Service. 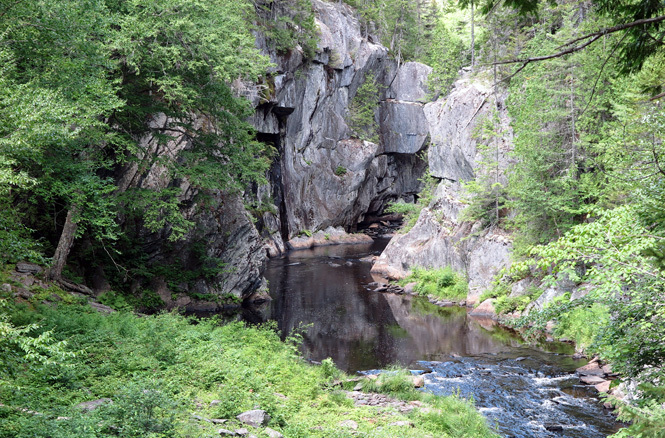 According to the Appalachian Trail Guide to Maine, a Scottish hermit named Campbell Young built a cabin overlooking the river in 1890, where he lived in near isolation for several years—thus, the area was dubbed The Hermitage. 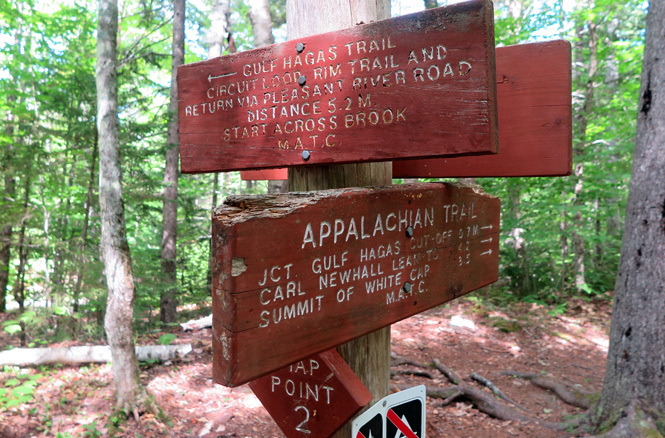 From Map Point 1, follow the Appalachian Trail one mile to Map Point 2 (shown here), where the Gulf Hagas trails break from the AT and cross Gulf Hagas Brook. This one-mile stretch between Map Point 1 and 2 is more of a nature walk than a hike with only the slightest elevation gain. Turn left at Map Point 2 and cross Gulf Hagas Brook here. 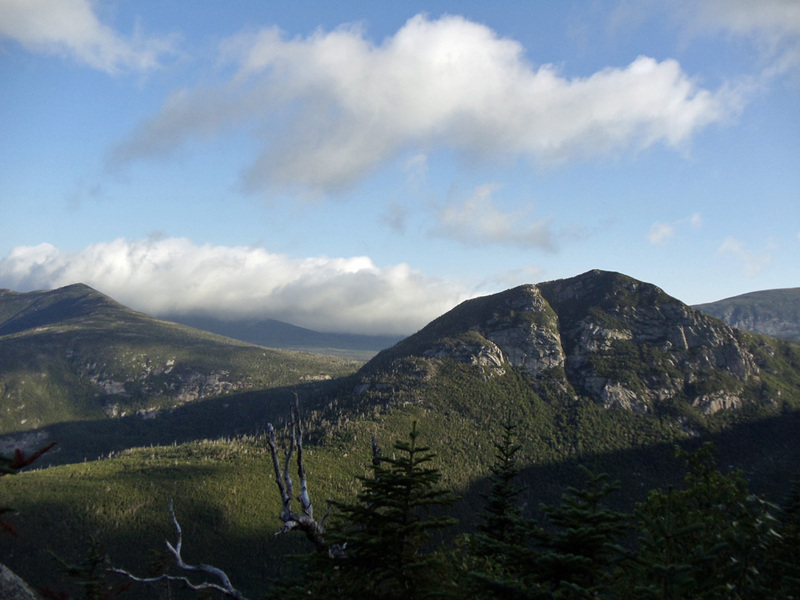 Upon crossing the brook, the Pleasant River Tote Road and the Rim Trail divide. Vear left to follow the Rim Trail along Gulf Hagas. 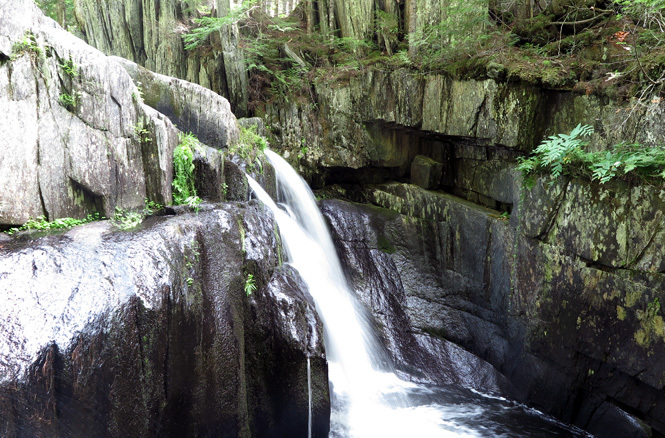 The first stop on the Gulf Hagas waterfall tour, Screw Auger Falls, is located on Gulf Hagas Brook, a mere 0.1 miles down the Rim Trail. 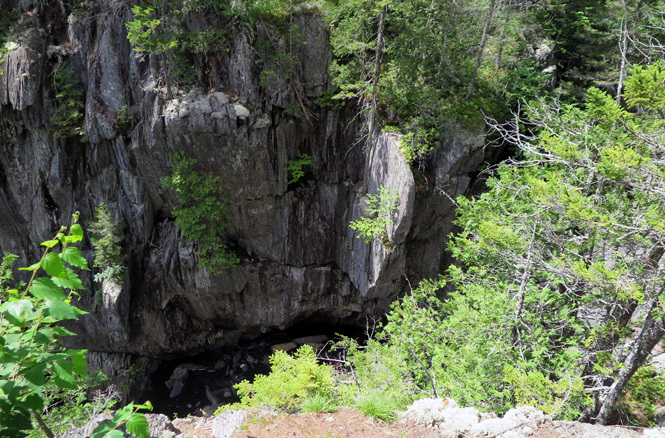 Here we see the 26-foot waterfall descend into its bowl from a trail overlook. 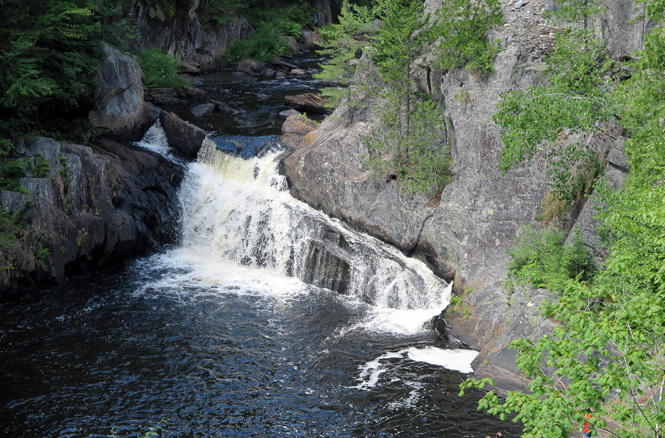 Screw Auger Falls viewed from the side. It is said that the rock formation is carved into the shape of an “S” and when the water level is just right, the bottom of the “S” shoots the water away from the wall. 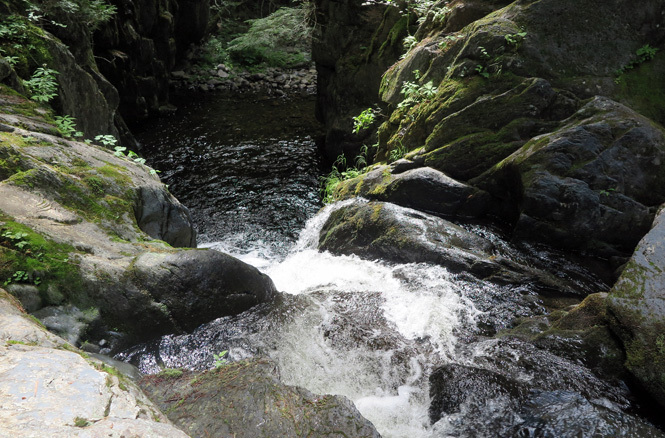 Looking into the bottom of Screw Auger Falls from the brook. 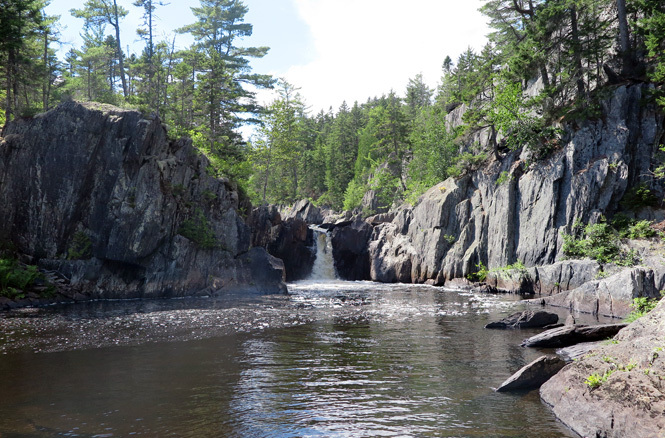 After Screw Auger Falls, the Rim Trail turns away from Gulf Hagas Brook and travels through the woods parallel to but not within sight of the West Branch of the Pleasant River. At the top of a short ascent and 0.7 miles into the Rim Trail, a spur trail leads to Hammond Street. Hammond Street Pitch represents the deepest point in the Gulf with a drop of over a 100 feet from the trail to the river below. 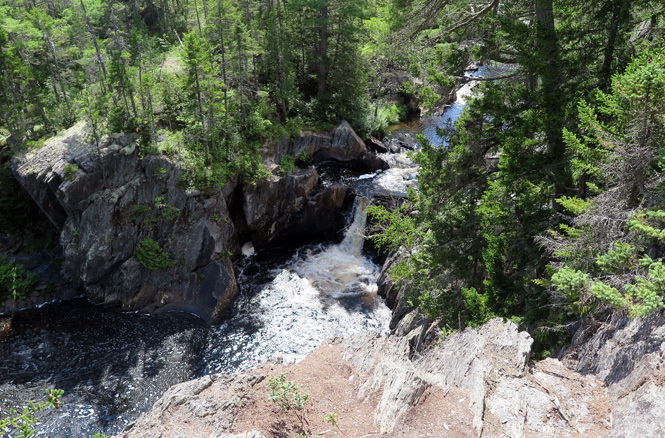 It’s worth noting that you are on the West Branch of the Pleasant River at this point because after seeing Screw Auger Falls on Gulf Hagas Brook, it can be disorienting to encounter water flowing in the opposite direction. Shortly after Hammond Street Pitch, there’s a connection to the Pleasant River Tote Road on the right. Built in 1873 to provide loggers with better access to a second cut of timber, the Tote Road is a flat, easily hiked trail that parallels the Rim Trail. Most hikers will hike the Rim Trail to experience Gulf Hagas first, and then circle back to their entry point on the tote road. 1.5 miles into the Rim Trail is The Jaws, the narrowest section of the canyon. Originally only seven feet and seven inches wide, The Jaws were blasted open to a width of 26 feet to make more room for the pine logs to fit. 1.8 miles into the Rim Trail is a spur trail to Buttermilk Falls. When water levels are safe, and water temperatures are obliging, the pool beneath Buttermilk Falls is one of the best spots in the Gulf for a swim. Shortly after Buttermilk Falls is the Short Cut Trail, another connection to the Pleasant River Tote Road. 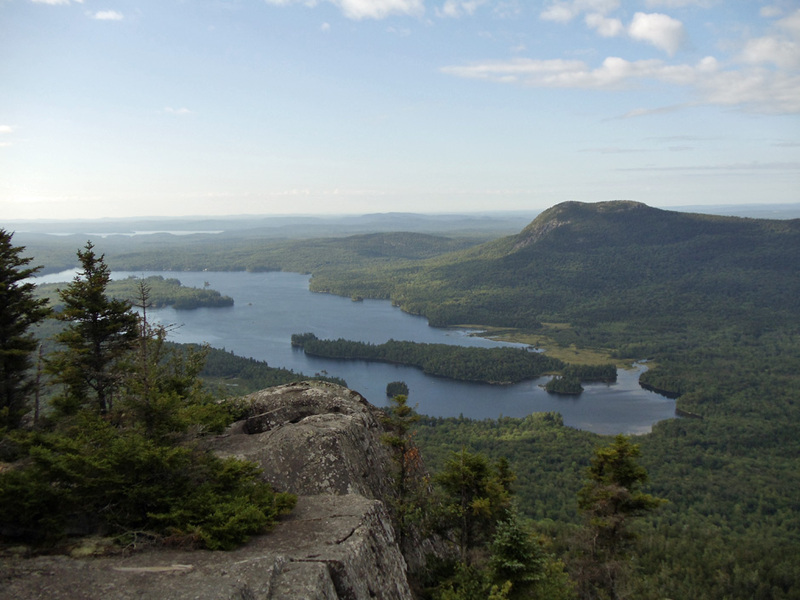 As mentioned above, the Short Cut Trail is a good way for families entering the Gulf via the Head of the Gulf Trail to reach Buttermilk Falls while bypassing some of the rougher, more treacherous terrain along the Rim Trail. The rock scramble photo from the top of this article comes from the section of the Rim Trail between Buttermilk and Billings Falls. Again, the hiking isn’t overly difficult here, there’s just a lot of short ups and downs. The rewards are cool views of the river such as the one shown here. 2.8 miles into the Rim Trail is this viewpoint of Billings Falls. Needless to say, this is another one of those widowmaker overlooks where you don’t want to get too close to the edge. The Rim Trail wraps up with Stair Falls, before turning at a bend in the river into the woods. 0.1 miles from here is the intersection with the Pleasant River Tote Road for backtracking, as well as the Gulf entrance for those coming in via the Head of Gulf Trail. It’s an easy 2.2-mile hike back on the Tote Road to the beginning of the Rim Trail on Gulf Hagas Brook for a total loop of 5.2 miles (not counting the 1.5-mile approach from the parking lot). Hikers visiting Gulf Hagas in the spring when water levels are too high to safely ford the river, or with young children, are better served entering via the Head of the Gulf Trail. 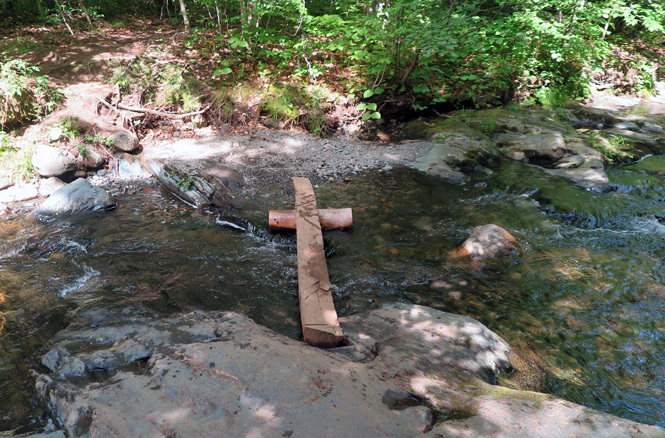 From the Hay Brook parking area near the Hedgehog checkpoint, the 1.7-mile Head of the Gulf Trail approach crosses the West Branch of the Pleasant River via a bridge. Quick synopsis: This trail starts out with a flat stretch, crosses a brook via a footbridge, followed by bog bridges for kids to have fun on, joins a dirt road and crosses the river, leaves the dirt road and eventually crosses the outlet of Lloyd Pond, goes through a rocky area, passes a spur trail for the river, enters the National Park Service land and connects to the Tote Road. The end.